A federal court in San Francisco ruled today that United Behavioral Health (UBH), a subsidiary of UnitedHealth Group (NYSE: UNH), used flawed and overly-restrictive internal guidelines in denying mental health and substance use disorder coverage claims for tens of thousands of patients, many of whom are children. The ruling is groundbreaking, both for Zuckerman Spaeder LLP’s effort on behalf of clients to systematically challenge the insurance industry’s discriminatory treatment of behavioral health claims, and for the more than 50,000 plaintiffs the firm represented in this class action lawsuit. The decision comes after an October 2017 trial before Chief Magistrate Judge Joseph C. Spero of the U.S. District Court for the Northern District of California, who considered two consolidated lawsuits—Wit, et. al. v. UnitedHealthcare et. al. and Alexander, et al. v. United Behavioral Health—brought by Zuckerman Spaeder on behalf of mental health and substance use disorder patients and their families. These lawsuits are at the vanguard of the firm’s nationwide effort on behalf of clients to force insurer compliance with their fiduciary duties under federal law. Zuckerman Spaeder, along with co-counsel Meiram Bendat of Psych-Appeal, successfully argued that UBH violated its fiduciary obligations under the Employee Retirement Income Security Act (ERISA) by systematically denying coverage for behavioral health treatment based on the use of “medical necessity” criteria that overemphasize acute mental health and substance use disorder symptoms, while disregarding chronic or complex conditions. In doing so, the court determined that the company effectively ignored the terms of the written insurance plan documents it was supposed to interpret, instead making coverage decisions based on flawed, internally-developed guidelines. Under the direction of Mr. Hufford and Mr. Cowart, the firm recently achieved three other class certifications and multiple settlements in mental health-related lawsuits, with the Wit/Alexander class certification decision being positively cited in the court rulings. Their trial team has been led by Caroline Reynolds, Carl Kravitz, Aitan Goelman, and Adam Abelson. The mental health effort is part of Zuckerman Spaeder’s national practice representing patients and health care providers in disputes with health insurance companies. The practice’s groundbreaking application of ERISA and other related federal and state laws has resulted in numerous precedent-setting wins, including two of the largest recoveries ever obtained in health insurance class actions. 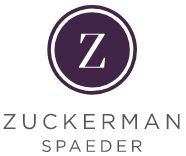 The firm’s cases have received high-level support from former U.S. Representative Patrick Kennedy and the U.S. Department of Labor, which has filed four amicus briefs supporting Zuckerman Spaeder cases in the Second, Third, Fifth and Eighth Circuit Courts of Appeals, with the firm obtaining successful decisions each time.